Automatic luxury chronograph with a smooth bezel. 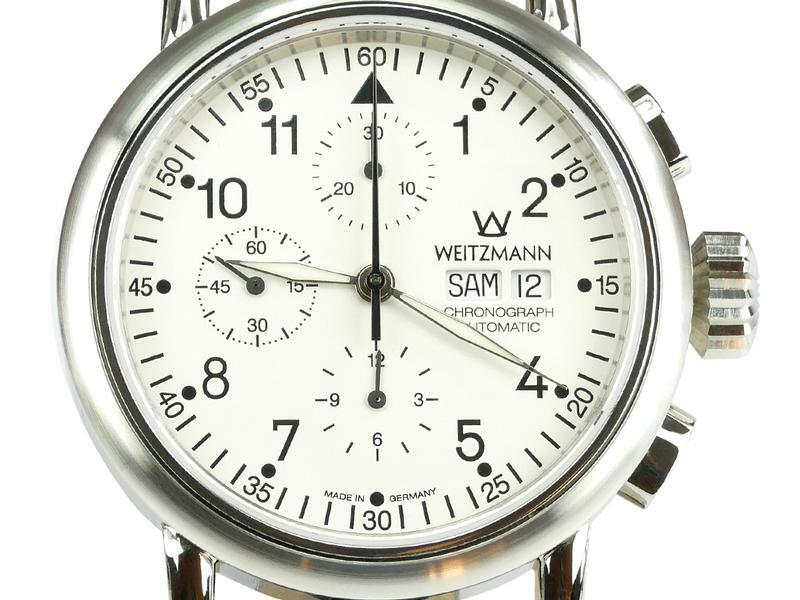 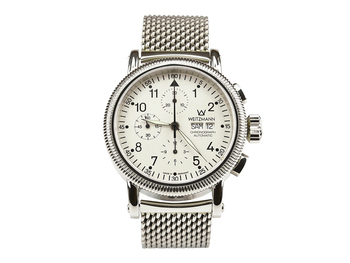 As the name of this WEITZMANN-Chronograph, manufactured in Germany following the finest watchmaking traditions, already indicates this noble luxury watch is the “MASTERPIECE” of the WEITZMANN collection. 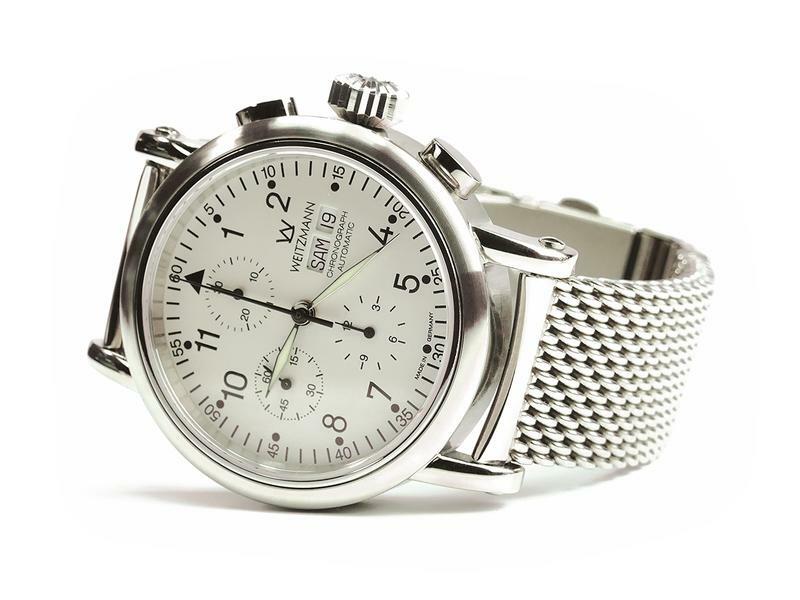 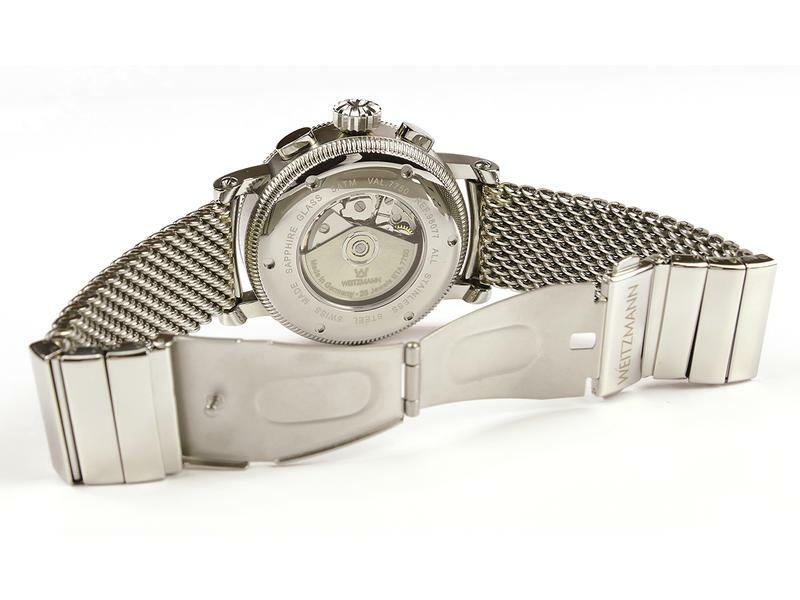 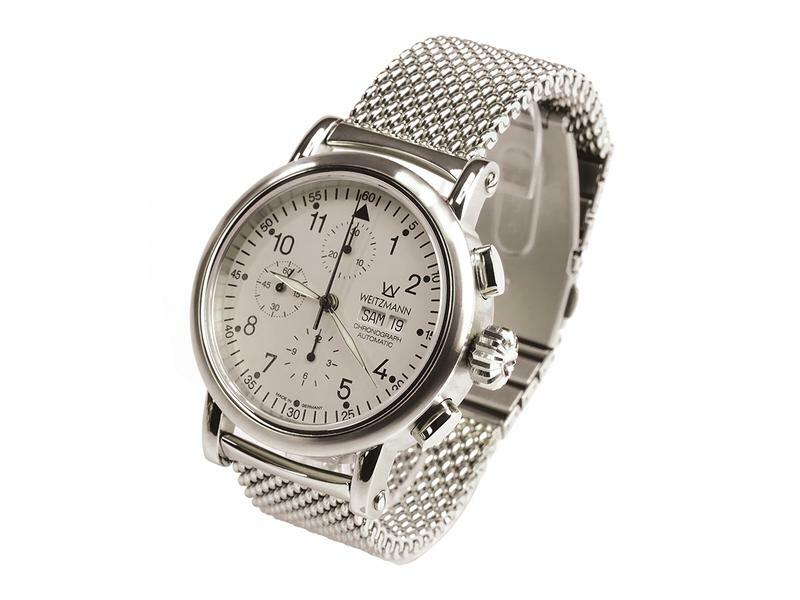 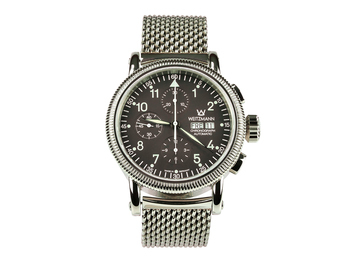 Only excellent components are used in the manufacture of this self-winding timepiece with the functionality of a Chronograph and the display of the date and also the day of the week on the 3 o’ clock position of the white dial: a massive, polished stainless steel watchcase (diameter 44 mm, height 13,5 mm, 5 ATM) with smooth bezel and a screwed see-through glass back of the case, a scratch-resistant sapphire crystal and a Swiss precision self-winding ETA 7750 movement, that is characterized by extreme accuracy and durability. 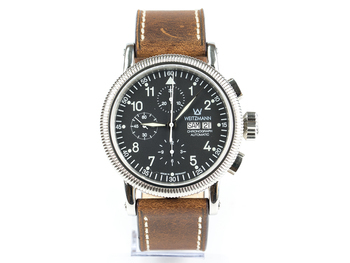 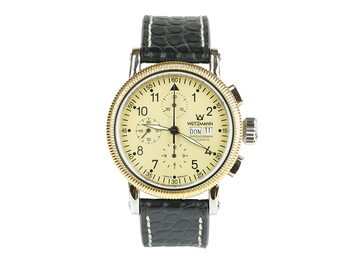 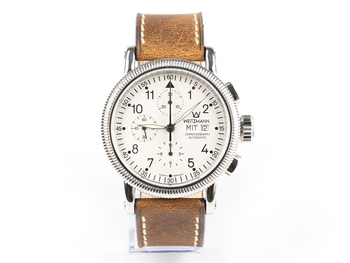 A strap made of genuine Alligator leather, Vintage-leather or a high quality Milanaise bracelet (band attachment width 22 mm), each “Made in Germany”, is rounding off the classy and exquisite appearance of this self-winding Chronograph and in the same time guarantees wearing comfort at the highest level. 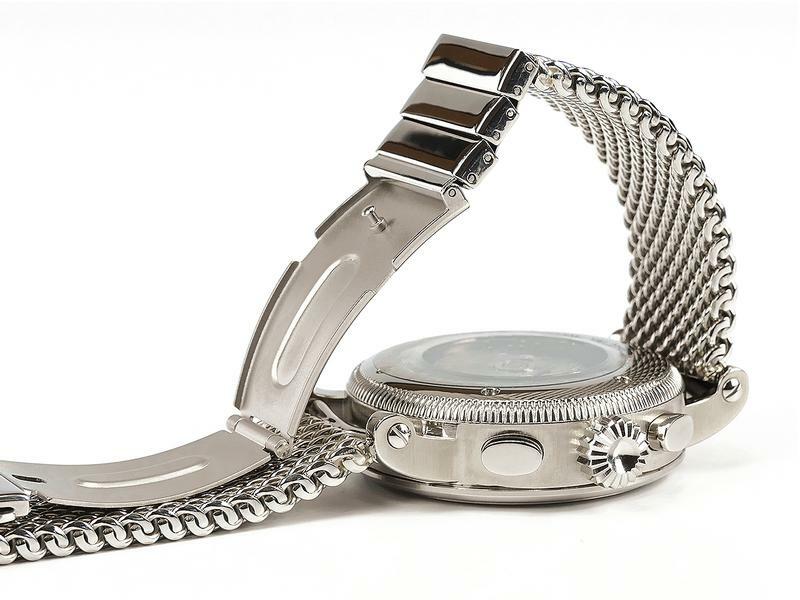 This extraordinary showpiece of watchmaking art allows the feeling of luxury and elegance and should not be missing in a watch collection! 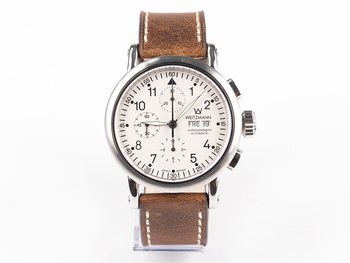 Automatic luxury chronograph, bi-color with fluted bezel. 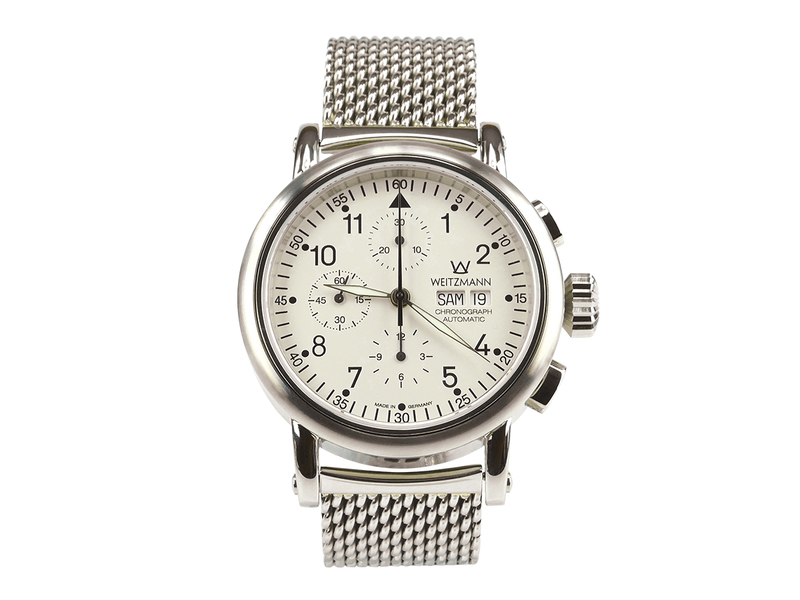 Automatic luxury chronograph with fluted bezel.